A powerful statement in any dinnerware assembly, the red sensation melamine serving bowls and dishes are break resistant and dishwasher safe. Melamine is guaranteed to last, as well as pack an aesthetic punch in any serving station. 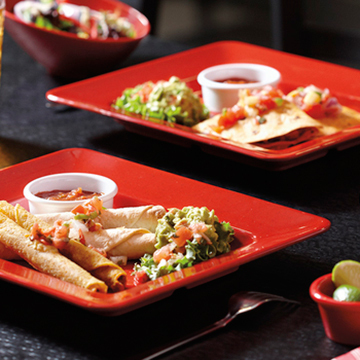 Choose from a variety of bowls and serving trays in striking red colors.